Cape Cod houses have been around since the 17th century, but they're still as stylish and practical as ever. 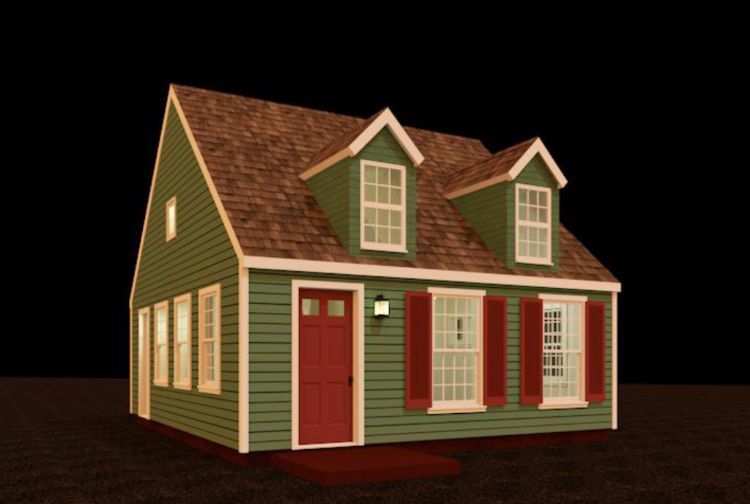 You don't have to live in a cold climate to appreciate a Cape Cod dwelling; nothing says "Home Sweet Home" quite like this style of home does! 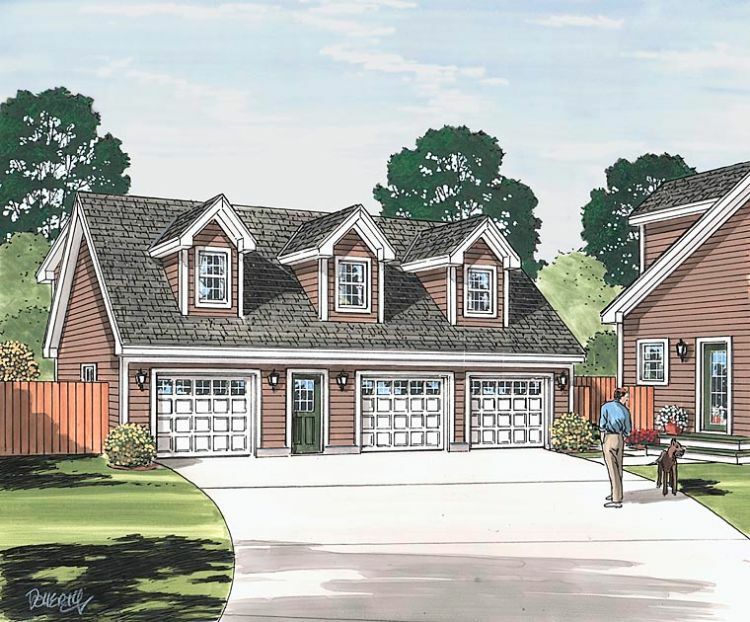 Simple lines, dormer windows, and symmetrical shapes all work together to make Cape Cod homes a treat for the eyes. 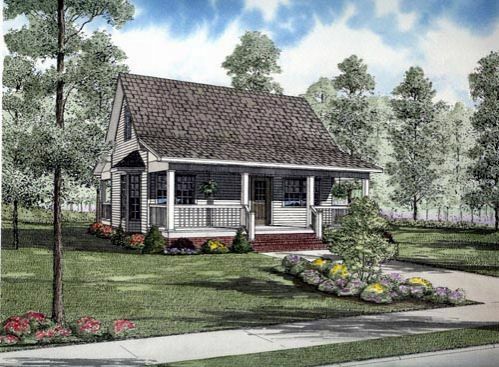 Take a look through these adorable, tiny Cape Cod floor plans to find the one that speaks to you! 1. 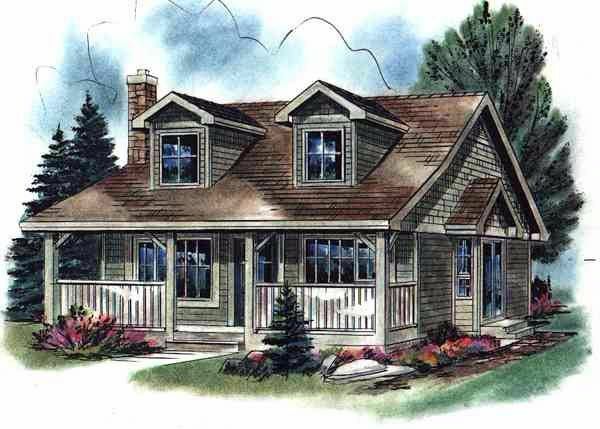 Cozy little cottage from Houseplans. This compact little home from Houseplans comes in at 448 square feet (42 square meters). The front door opens right into an open concept dining room and kitchen, which has plenty of space for a large table. At the back of this room, a small hallway leads to a bathroom with a tub, a laundry area, and a large closet. 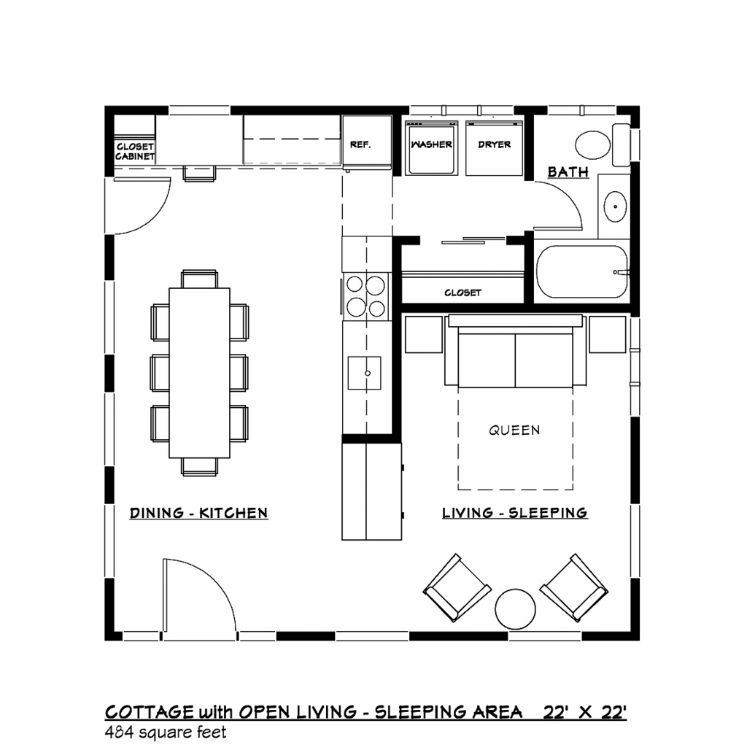 The living and sleeping area is partially open to the dining room, and it is large enough to fit a queen bed. 2. 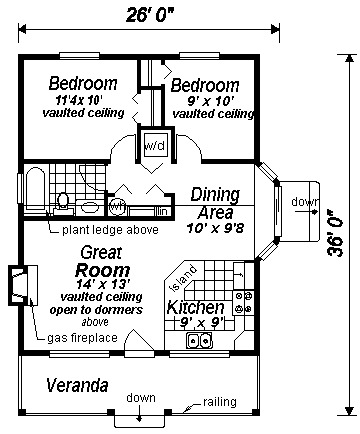 Two-bedroom home with vaulted ceilings from Family Home Plans. Measuring 736 square feet (68 square meters), this design from Family Home Plans includes vaulted ceilings that make the home feel far larger than it actually is. Step up onto the covered porch, and enter the home through the cozy great room that includes a fireplace. A small kitchen island set on an angle partially separates the kitchen from the great room and the dining room. A dormer window floods the dining area with natural light. Two bedrooms are found at the back of the home, as is a bathroom with a tub and a laundry closet. 3. 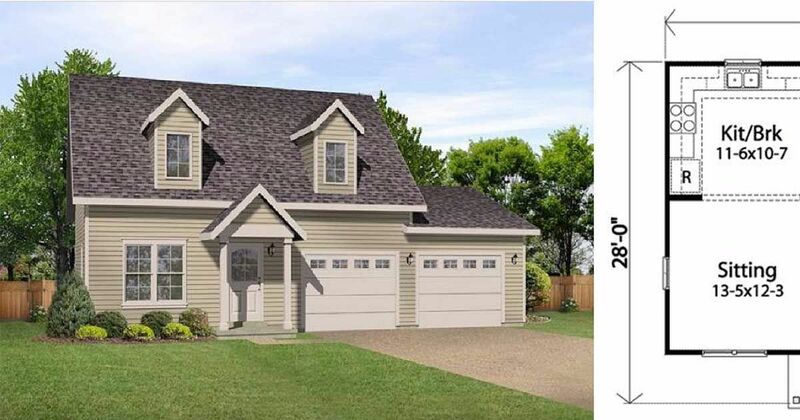 Symmetrical home over three car garage from Family Home Plans. 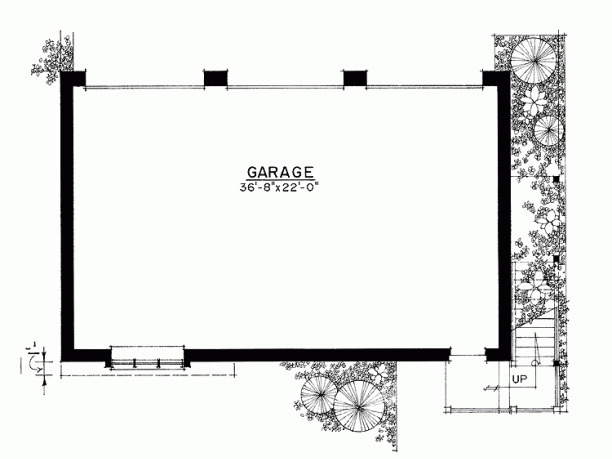 Located over a three car garage, this 887 square foot (82 square meters) design was seen on Family Home Plans. 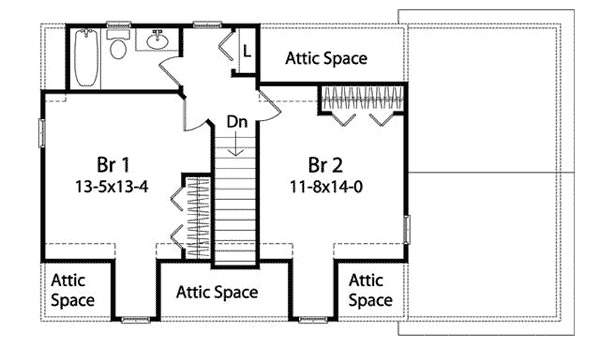 A staircase is located between the one car garage and the two car garage, and it leads straight into the common living area of the home. The living room is located off to the right, and the dining room is straight ahead. The kitchen is just to the right of the dining room. 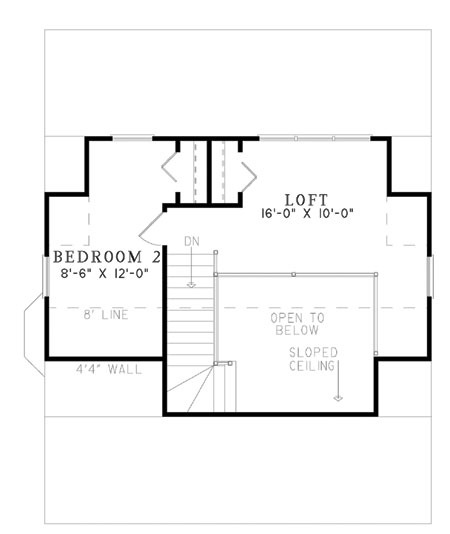 The two bedrooms are found on either side of the living room, and each one includes a closet, a linen closet, a dormer window, and a bathroom with a tub. 4. Stately home with study from Houseplans. Measuring exactly 1000 square feet (93 square meters), this design from Houseplans is perfectly suited to someone who doesn't require a full kitchen. The front door opens directly into the living room, which is open to the wet bar area behind it. 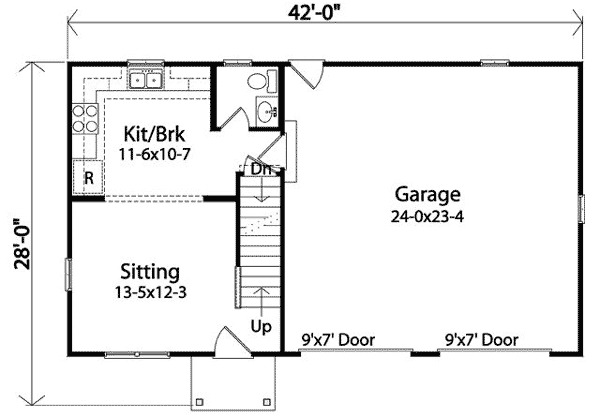 A bathroom with a tub and a utility closet are found in the top center of the home, while a small study and a bedroom are located on the left-hand side. 5. 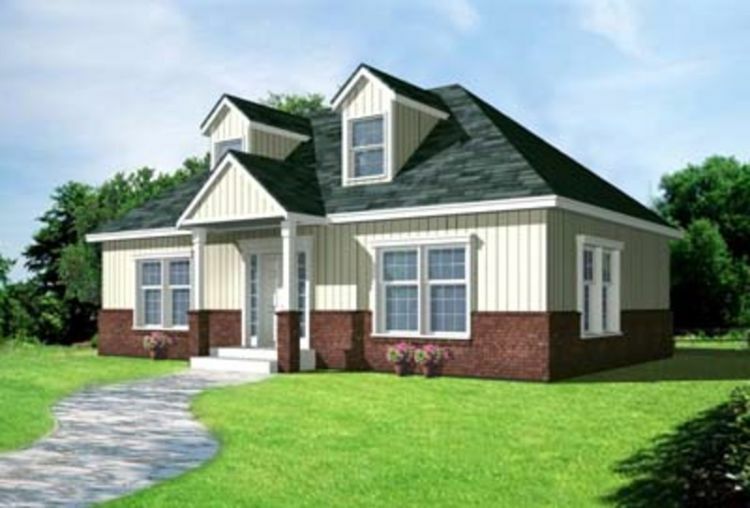 Two-bedroom home with charming bay window from ePlans. 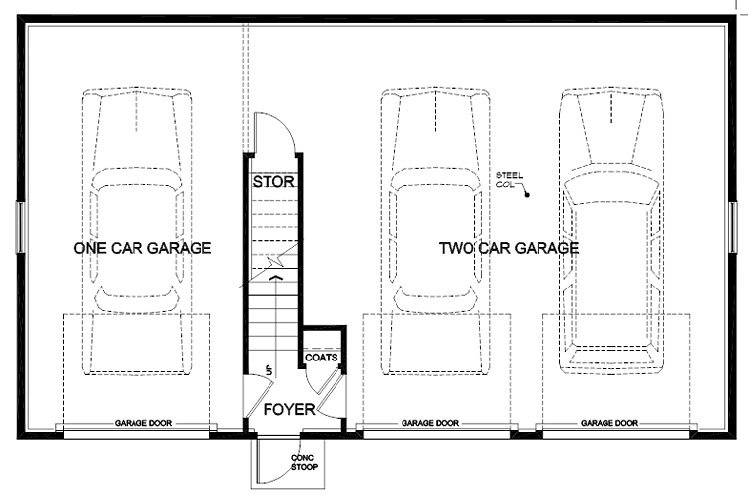 This floor plan from ePlans comes in at 797 square feet (74 square meters), and the home is located directly above a three car garage. 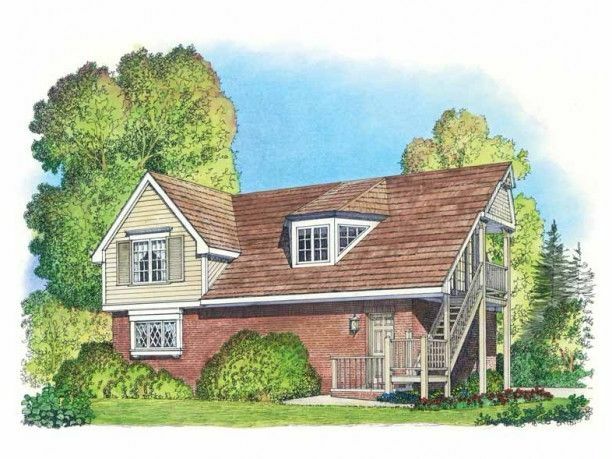 Exterior stairs lead up to a small porch, which opens into an open concept living/dining room with a bay window. 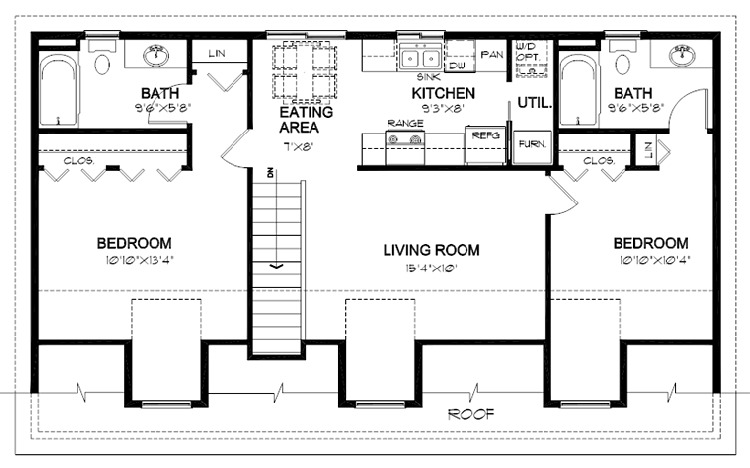 An L-shaped kitchen is located just off the living room. A small hallway leads from the living room to a bathroom and two bedrooms on the left-hand side of the home. 6. 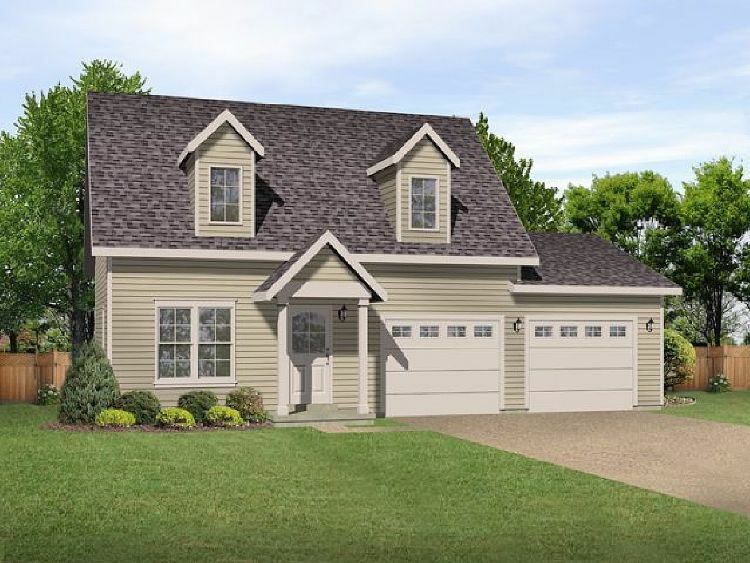 Open concept home with loft from Family Home Plans. 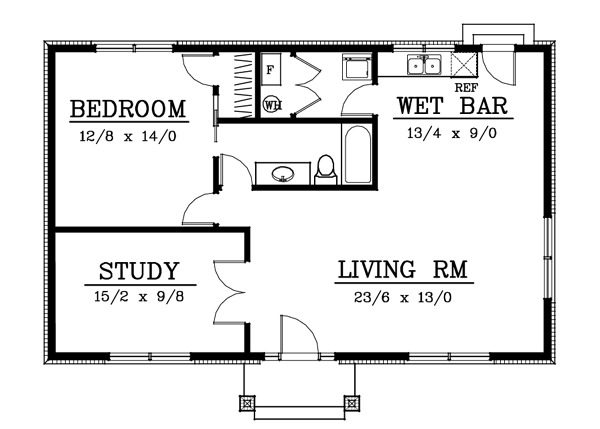 Measuring 975 square feet (91 square meters), this design from Family Home Plans features two bedrooms as well as a loft. 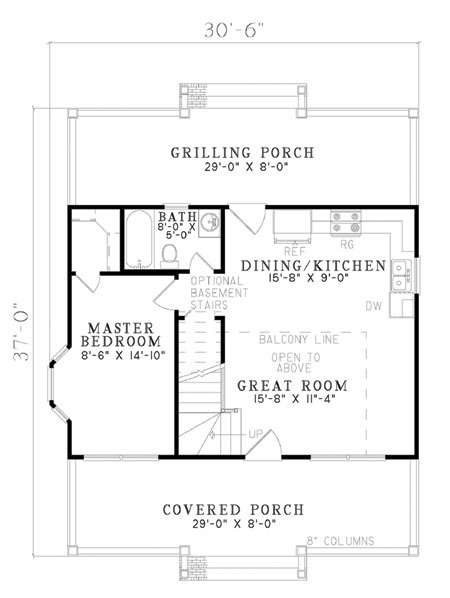 Step up onto the covered front porch and enter into the great room, which is open to the L-shaped kitchen behind it. 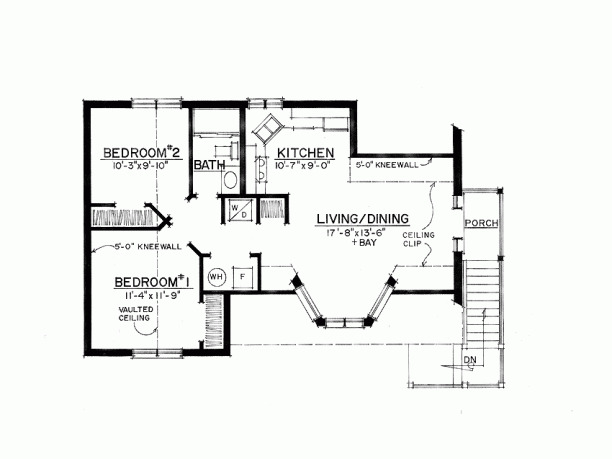 A bathroom and a master bedroom with a closet are located off to the left. Upstairs, a spacious loft is open to the great room below. A second bedroom is found here as well. 7. Charming home with L-shaped kitchen from Architectural Designs. Located partially above a two car garage, this 975 square foot (91 square meters) home was seen on Architectural Designs. On the first floor, a sitting room is open to the eat-in kitchen behind it. A half-bathroom is located conveniently just off the kitchen. Upstairs, a bedroom is located on either side of the staircase. Both bedrooms share access to a bathroom with a tub.